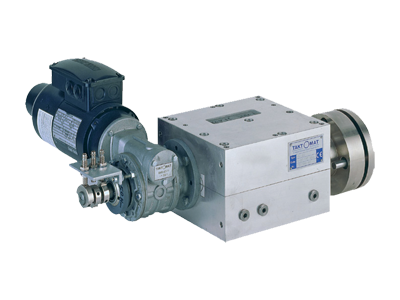 A large medical device manufacturer came to us after using one of our competitors’ products. 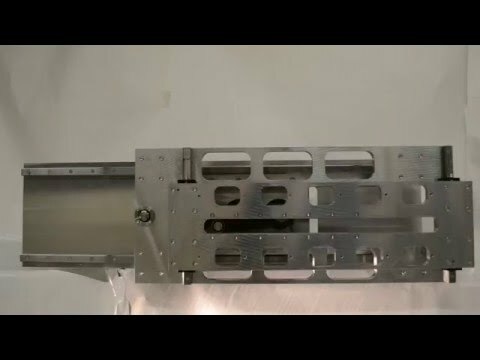 They complained about accuracy, price, and the need for customization to meet their requirements in their manufacturing system. 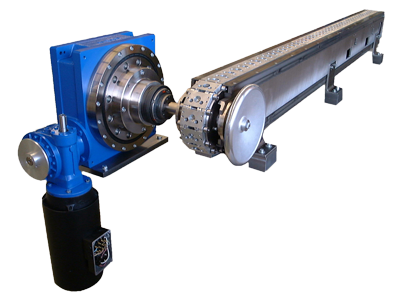 They needed a precision link conveyor, a device to accurately transfer products from station to station, and do a process at each and every station. 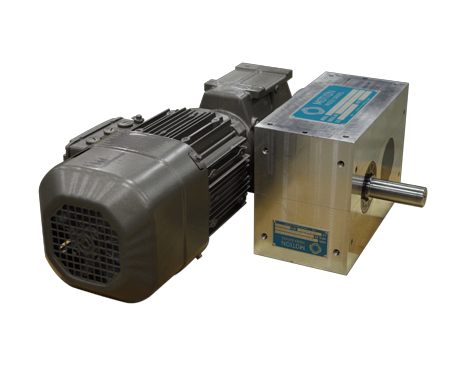 They needed customer mounting location, compact drive units to all room for their process equipment, and customized cutouts through the chassis of the unit to allow for routing of required laser ventilation, cables, and specialized equipment. A customized LF conveyor was designed to meet the customers’ requirements. The conveyor was to be over 6 meters (~20’), but needed to ensure accuracy at each and every station of no more than 0.06mm (0.0024’’). 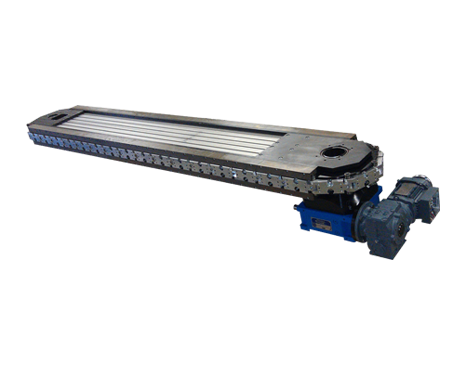 The conveyor was designed with specialized hole patterns in the steel end plates, and the center plates, as well as customized cutouts in the aluminum extrusion chassis. 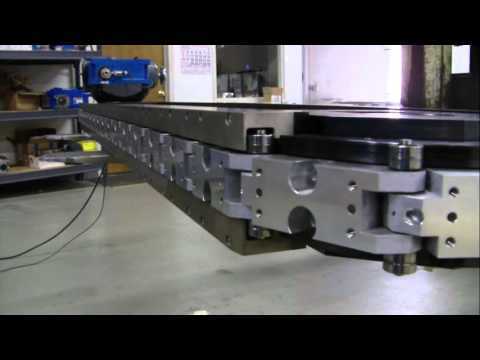 Because the chassis of our conveyor is manufactured of aluminum extrusion, the unit is extremely rigid and straight, but allows for localized thru holes without jeopardizing the units structural integrity. 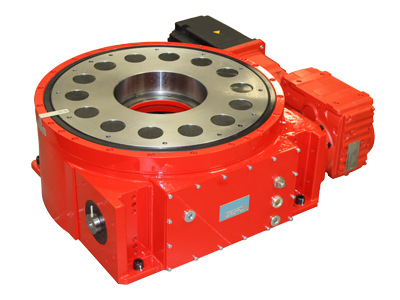 The drive unit was a completely sealed, maintenance free, RT250 index drive, indexing 150mm in 0.5 seconds. 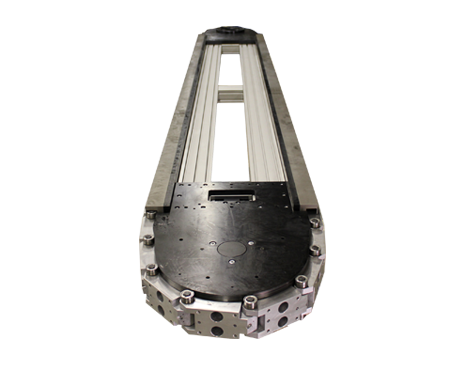 This custom LF conveyor met all of the customers demanding requirements, and also saved them ~30% over the cost of the previously used and underperforming competitor unit.